I’ve thought about this a lot, and eaten at a lot of Houston area BBQ joints. This first list is only the top 5. I still have some internal debating and consistency checks to do before I expand it to a top 10. I recommend any and all of the joints to anyone, and welcome any comments or recommendations of places to try. The full list of joints I’ve visited is listed below my Top 10 list here. Comment form at the bottom of this article. The distance between places one and two is infinitesimally small. Corkscrew has edged out Killen’s in the past due to their consistency, but dang it, Killen’s has an awesome beef rib. That, combined with my most recent visit has pushed them to the top. Three trips to the temporary popup resulted in amazing brisket twice, and very good brisket on my final trip. I had not been a fan of the sausage on two visits, and it was not available on my third. However, my first trip was after their primary pit was stolen and they were using a backup. The third visit was the weekend prior to their grand opening and there was a very limited menu. The fourth visit was the first to the fully opened restaurant and I was wowed with a -6- meat plate. Yes, they offer that at Killen’s. My second visit reviewed here. The BBQ here is also great. 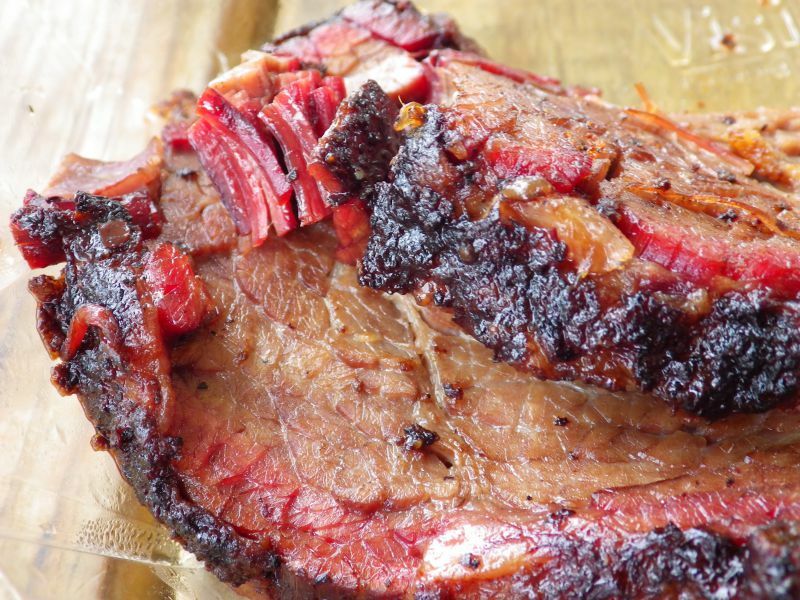 Red oak wood smoke permeates the meat with a strong smoky flavor. Ribs are moist and tender. The sides are good too. They sell out quick, many times before 2pm so get there early! My review here. Rumor is they are experimenting with adding beef ribs. Capacity will be upped with a new smoker arriving in August 2014! 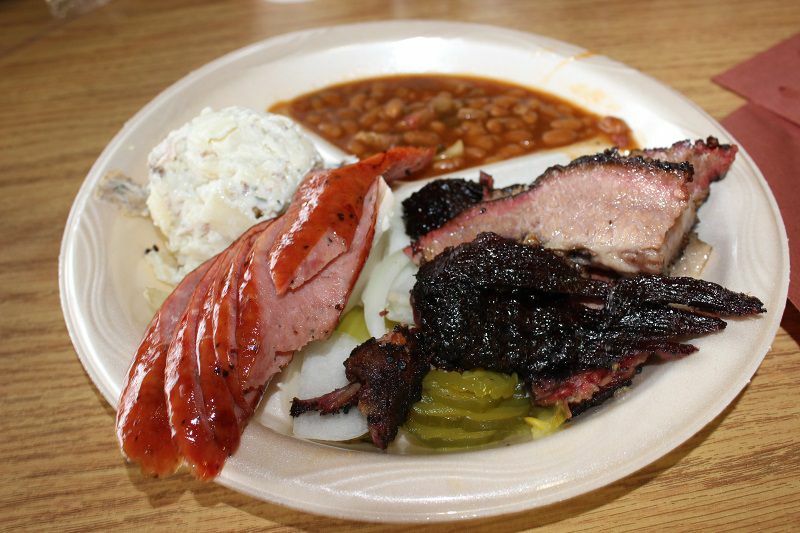 Pecan wood smoked BBQ, brisket with a sweet-ish rub, and deer sausage make this little converted house inside the 610 loop a must-visit. 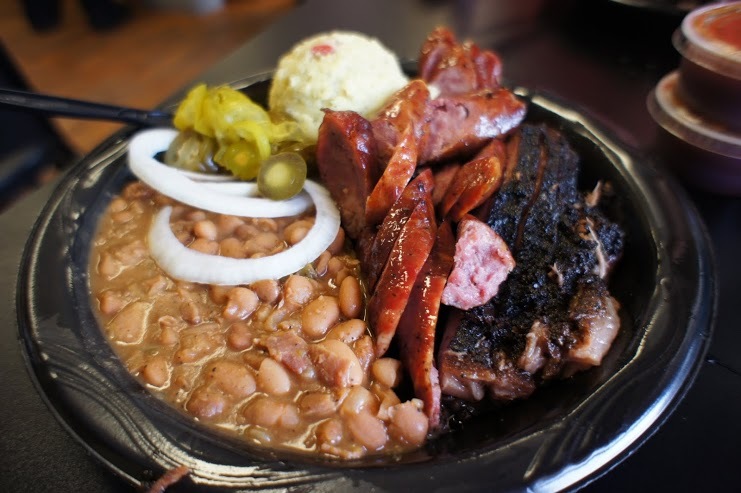 A review of my first visit to Gatlin’s here. 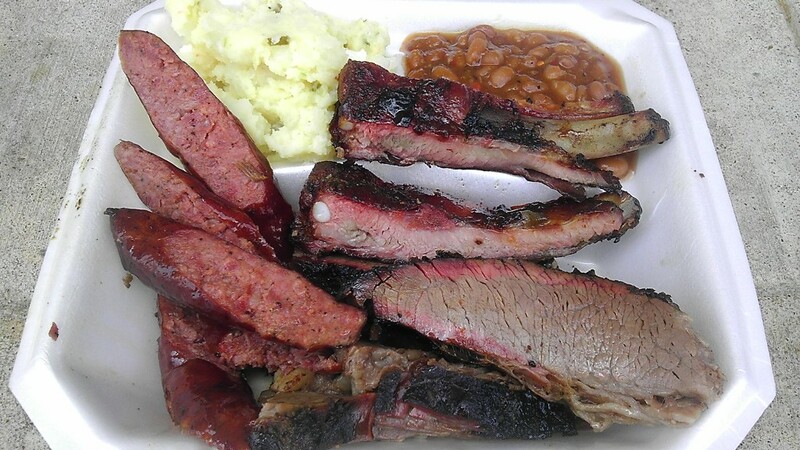 Good brisket, ribs, and sausage with well-made sides. 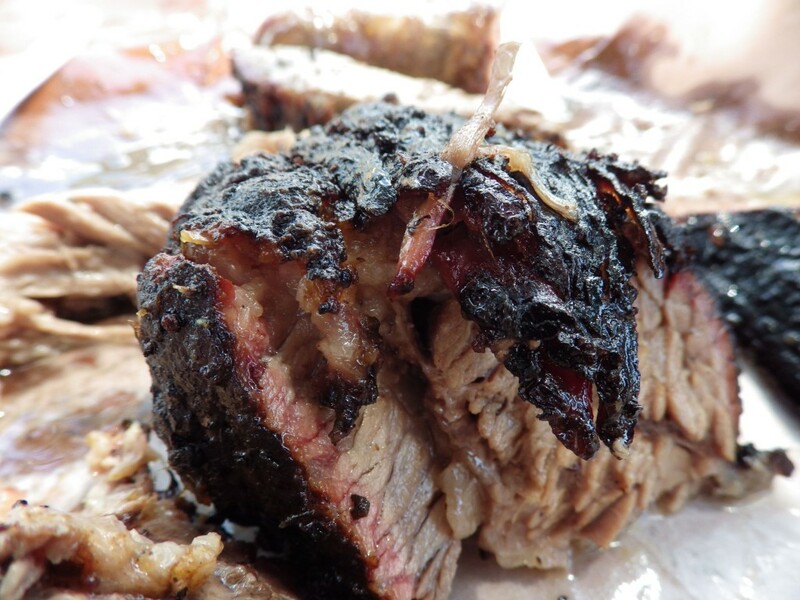 Trent Brooks smokes the BBQ Wednesday through Saturday and a stop here will reward you with moist BBQ goodness. Review of my first visit to Brook’s Place here. The strength of a beef short rib pushed up The Brisket House to appear for the first time on my top 5. I had to make a second trip just to make sure, but I’m a sucker for a great beef rib. Combined with solid brisket and a delectable and reasonably priced “PB&J” (see the review here for more) they earned this spot. Tags: Brooks' Place, Corkscrew, Gatlin's, Killen's, Pizzitolas.